Each year we ask volunteers, supporters and advocates to help us spread the LIVE UNITED message through our Traveling T-Shirt Contest. As you travel this year, we hope you will join with others in this global call to action. 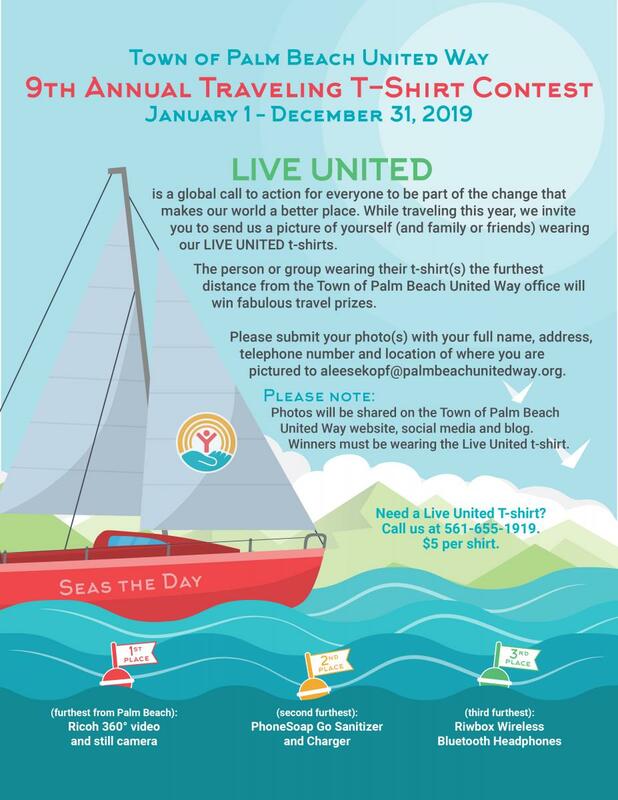 Participants wearing the Live United t-shirt the furthest distance from the Town of Palm Beach United Way office will win fabulous travel prizes.